Let go of the past. 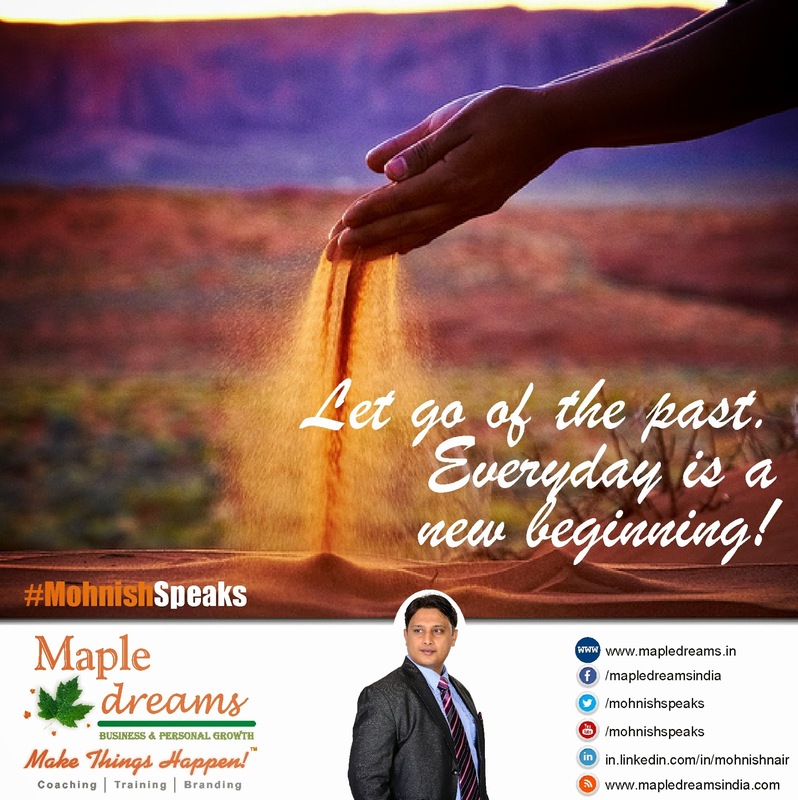 Everyday is a new beginning! Humans are arguably one of the most unpredictable creatures. The most selfish and probably the most insecure species. 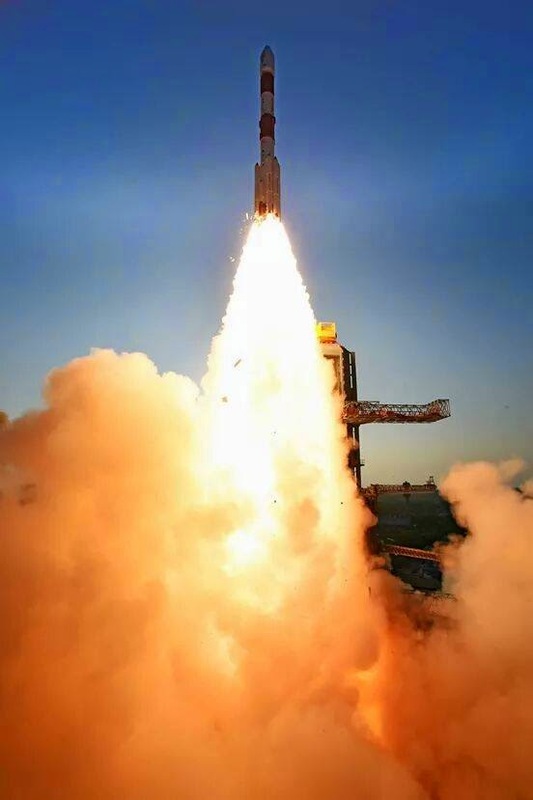 Now don't get me wrong here, but these are the very reasons why humans have overcome the challenges of survival and proven to be the most dominating force on the face of this planet. I believe human potential is like a warriors sword. Its noble when used to protect and its evil when used to destroy. In life we will always have the option to choose sides. And whichever side we choose. Becomes our reality. Choose the one in your favor but don't chose the one that brings others down. Choose progress over success and no matter what ... Be real! And challenge the world by simply saying...STOP ME IF YOU CAN! You can either activate fear or courage inside you & face the day! Choose wisely! 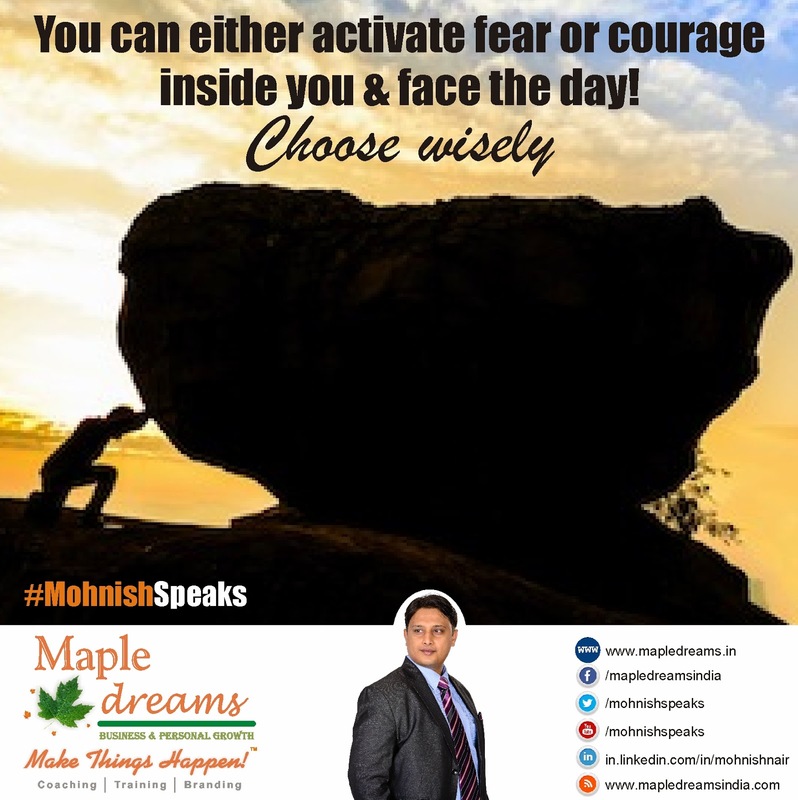 You can either activate fear or courage inside you & face the day!Choose wisely! 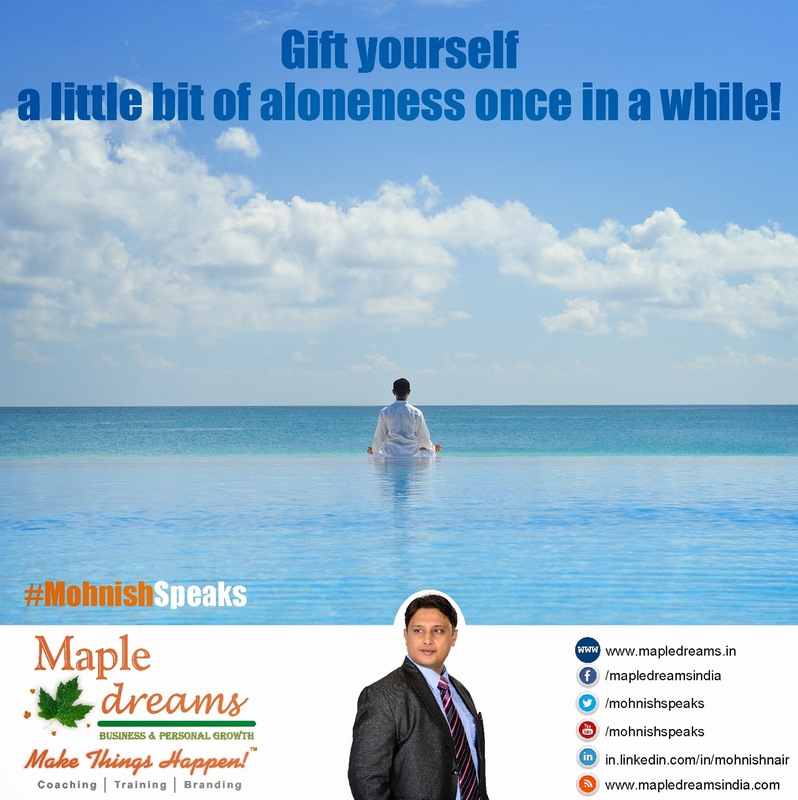 Gift yourself a little bit of aloneness once in a while! 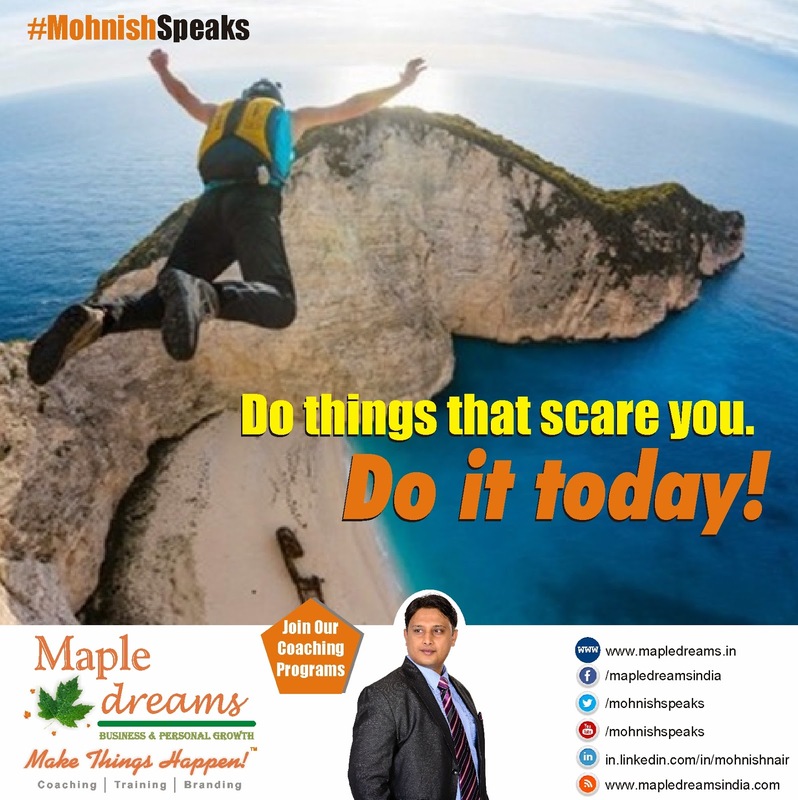 In this episode Growth Coach Mohnish Nair talks about why he so strongly propagates the phrase MAKE THINGS HAPPEN and how this is not merely a fancy phrase but a way of living for him. 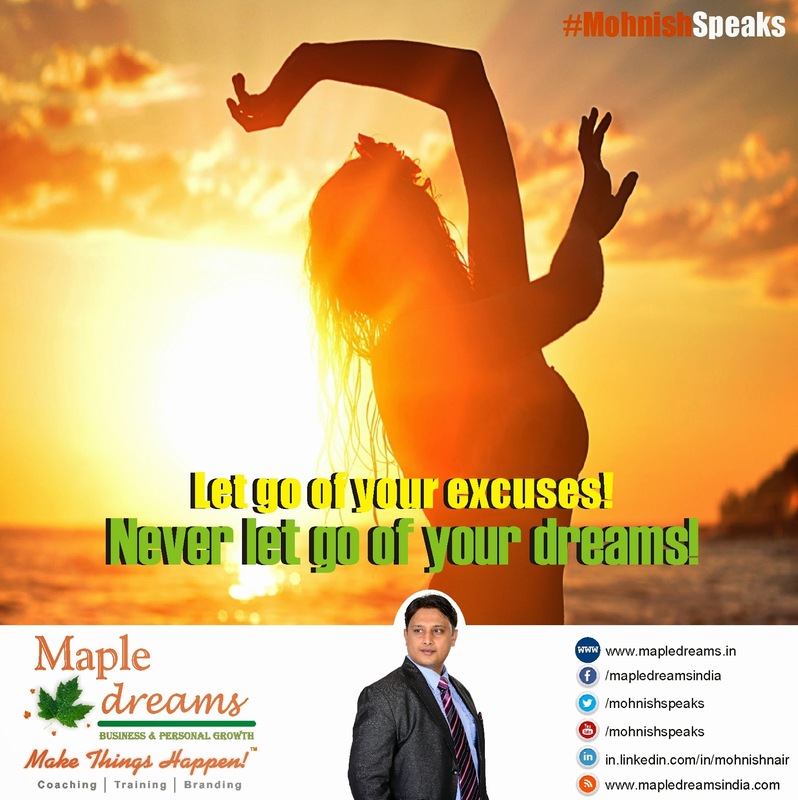 believes in Mohnish Nair is a Growth Coach who enjoys coaching small business owners create BIG businesses. Where you are in life and where you end up is all about choices! Choose wisely!! 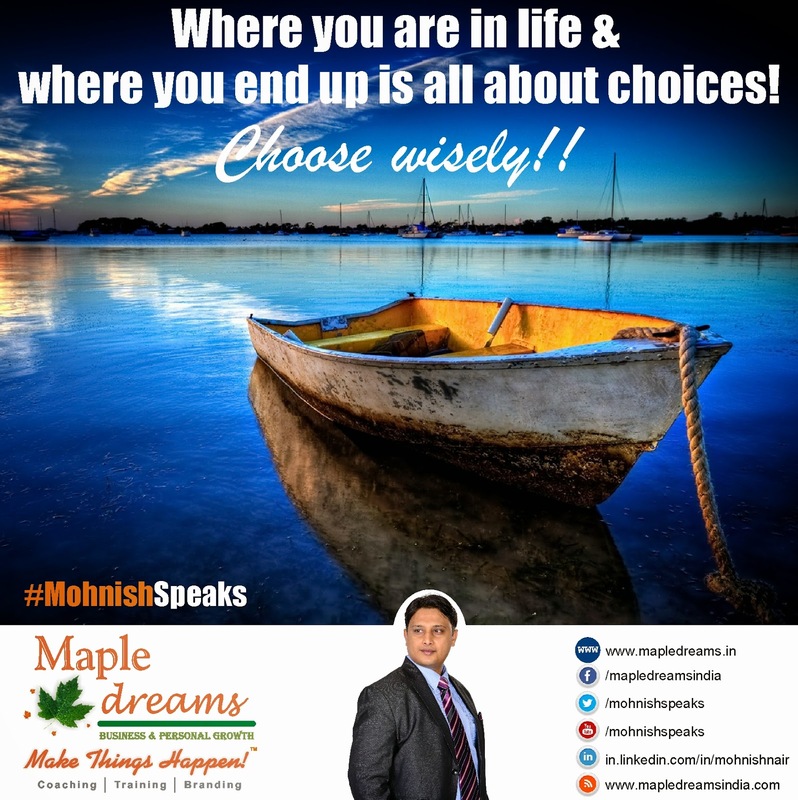 Where you are in life and where you end up is all about choices! 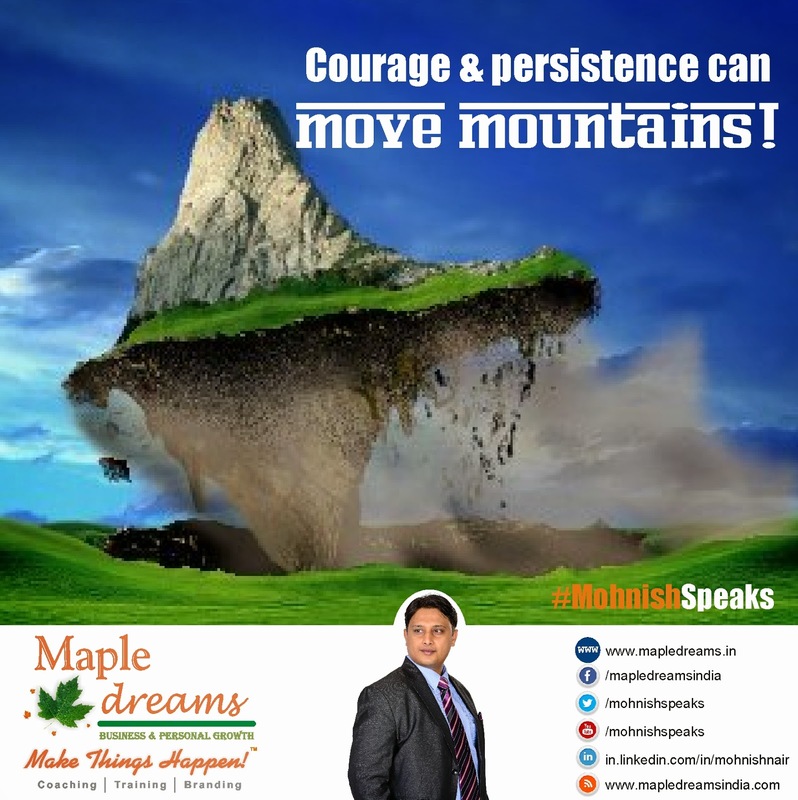 Courage & persistence can move mountains! 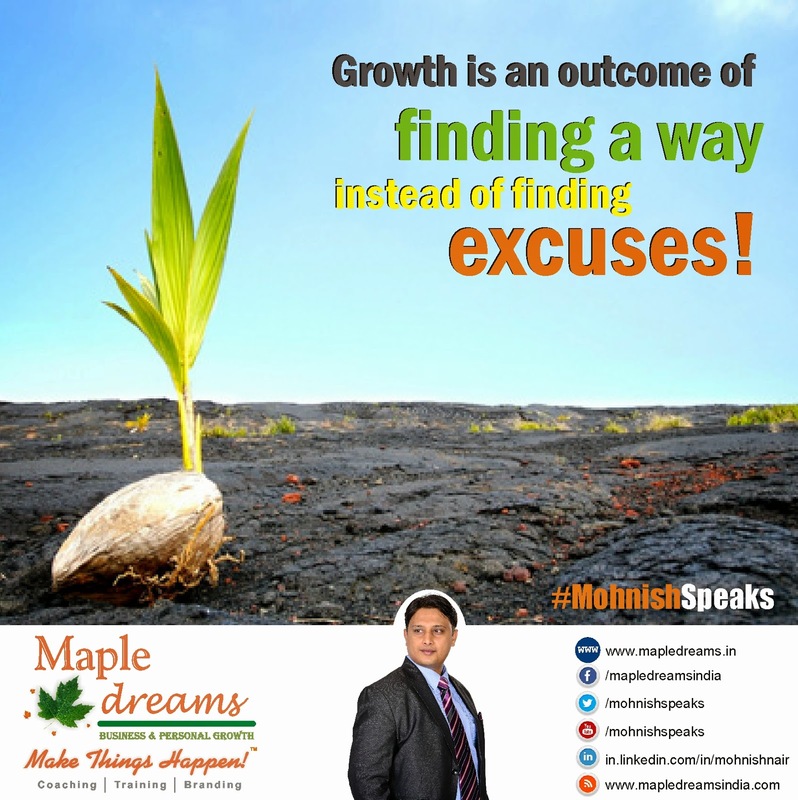 Growth is an outcome of finding a way instead of finding excuses! Strive to be the best version of you! Want to know what goes into making successful Men & Women? 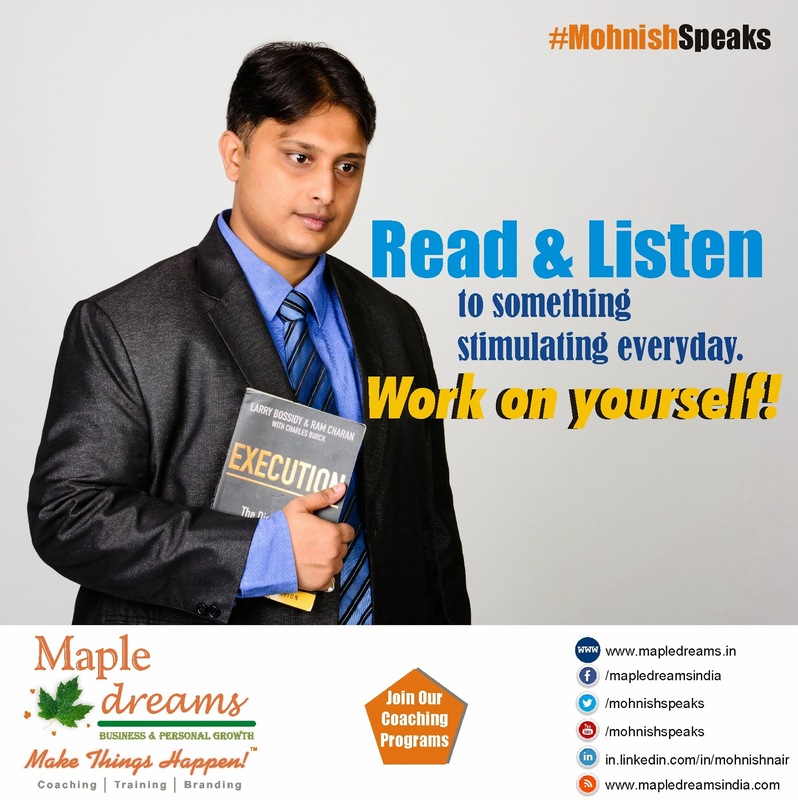 Then watch the fundamental pillars of success by Growth Coach Mohnish Nair. Become a source of opportunity! 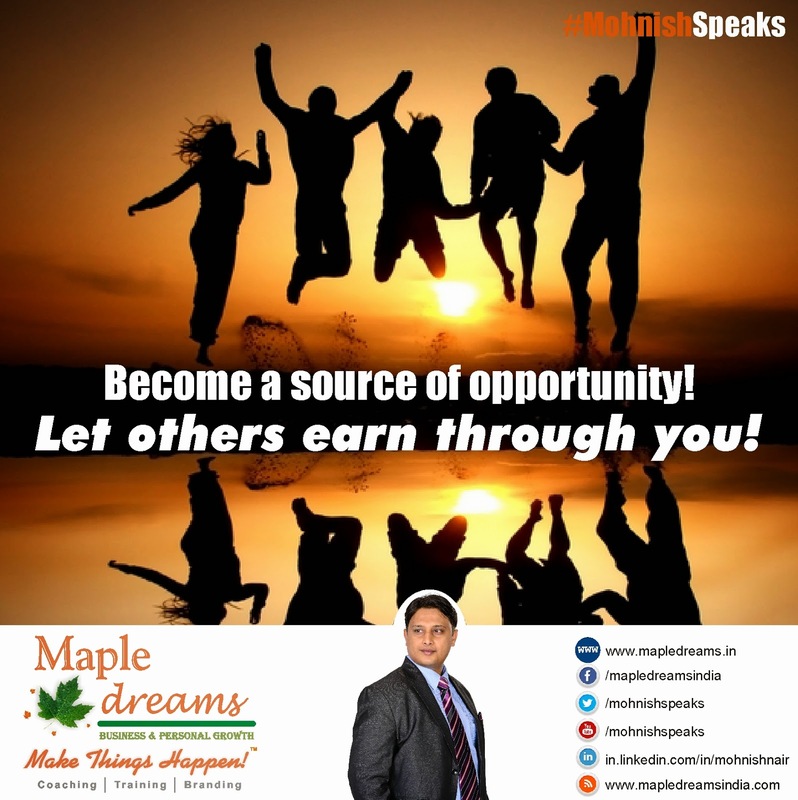 Let others earn through you! A goal without action is day dreaming! 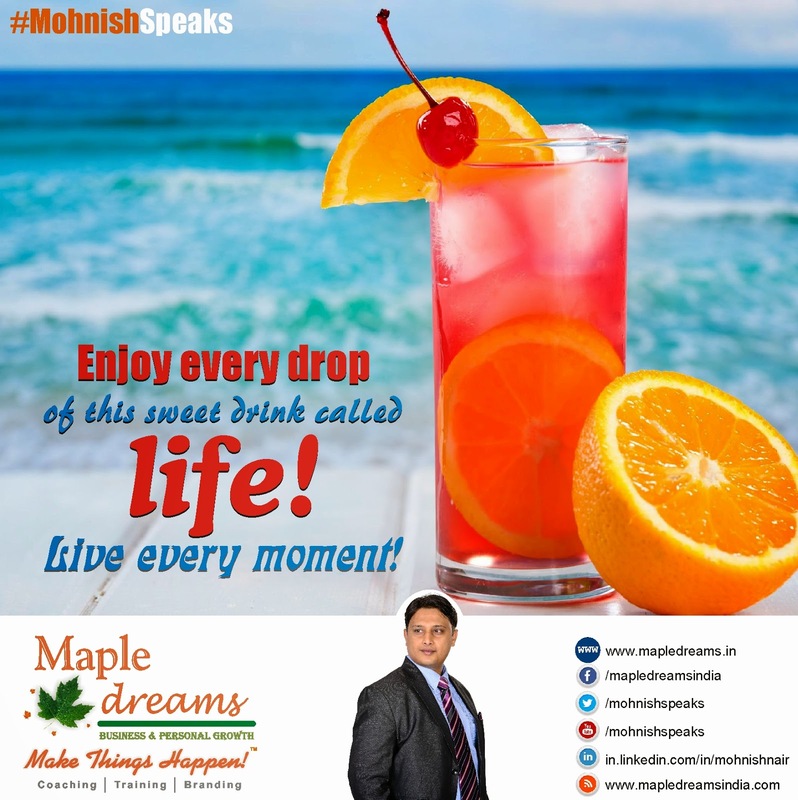 Enjoy every drop of this sweet drink called life! Live every moment! 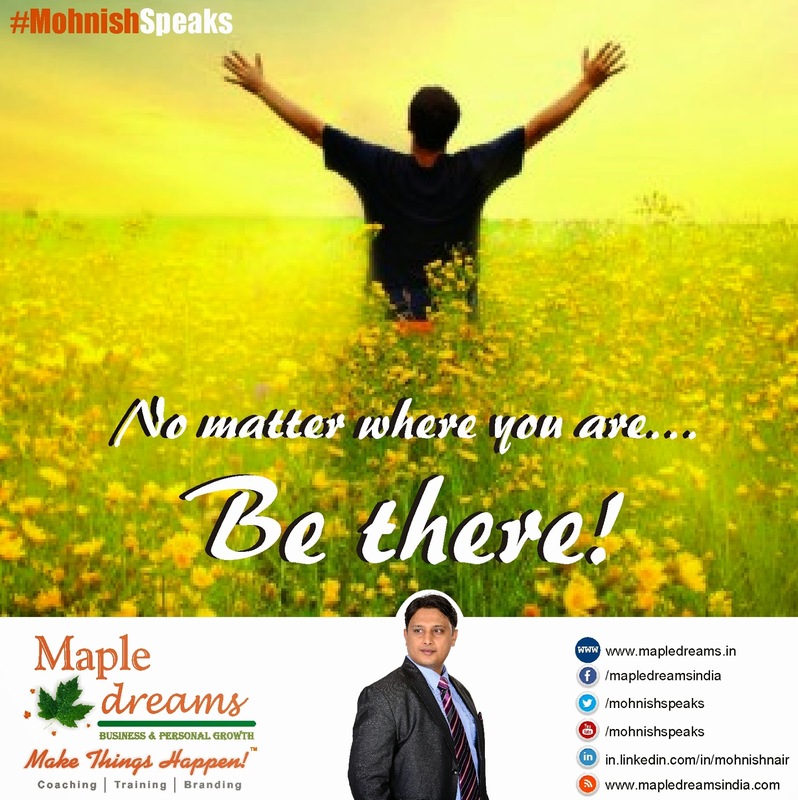 No matter where you are… Be there! 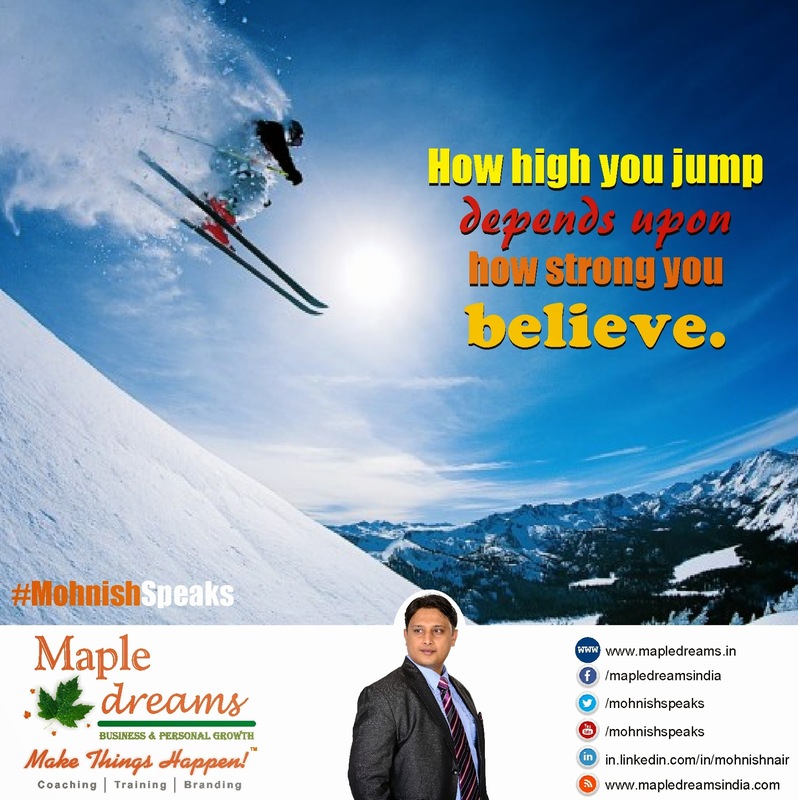 How high you jump depends upon how strong you believe. 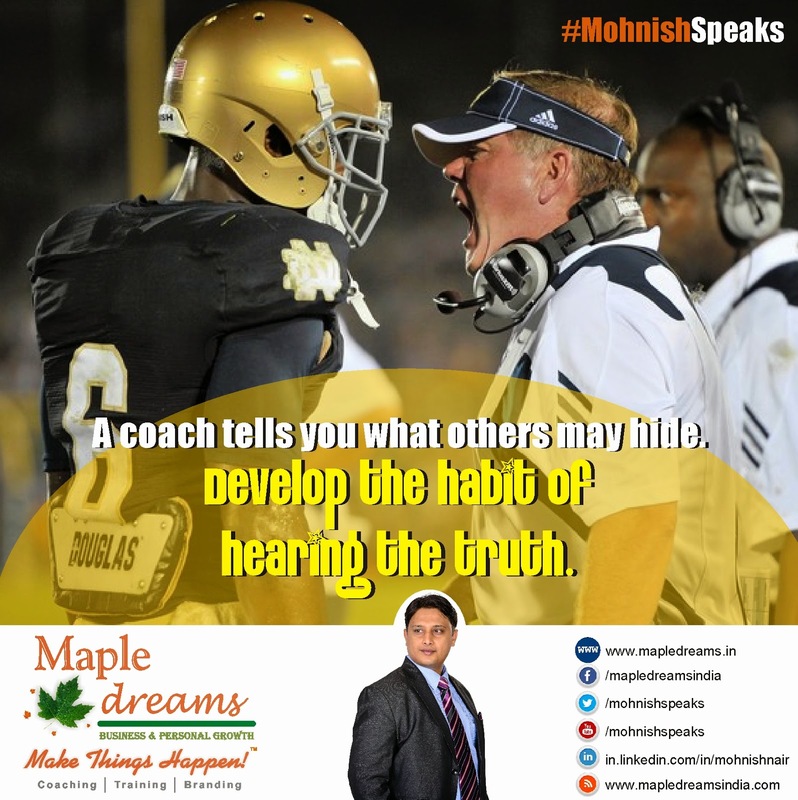 A coach tells you what others may hide. Develop the habit of hearing the truth. 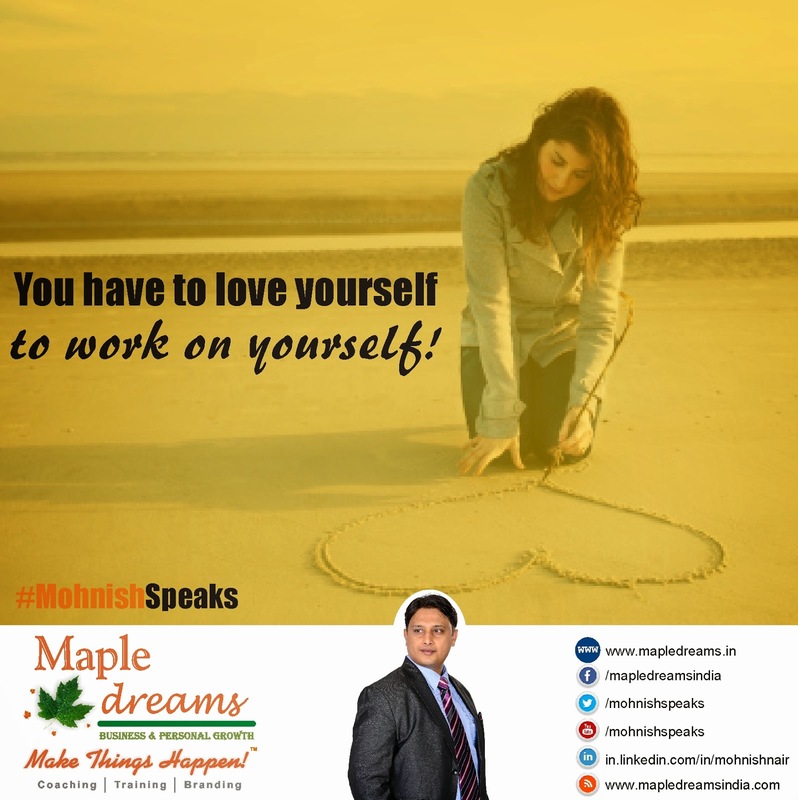 You have to love yourself to work on yourself! Don’t lose the ability to surprise yourself. 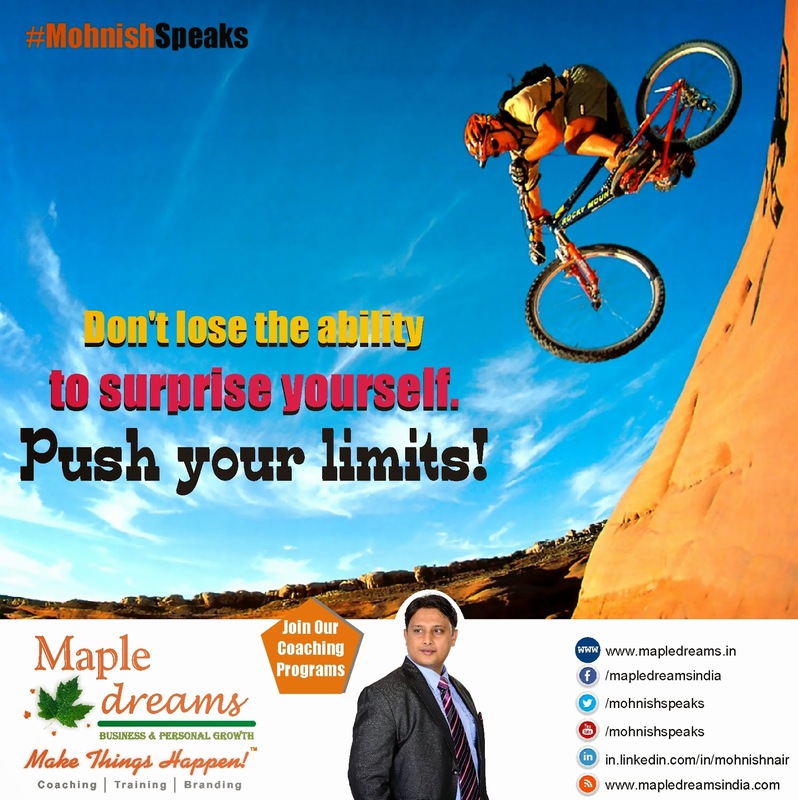 Push your limits! Do things that scare you. Do it today! 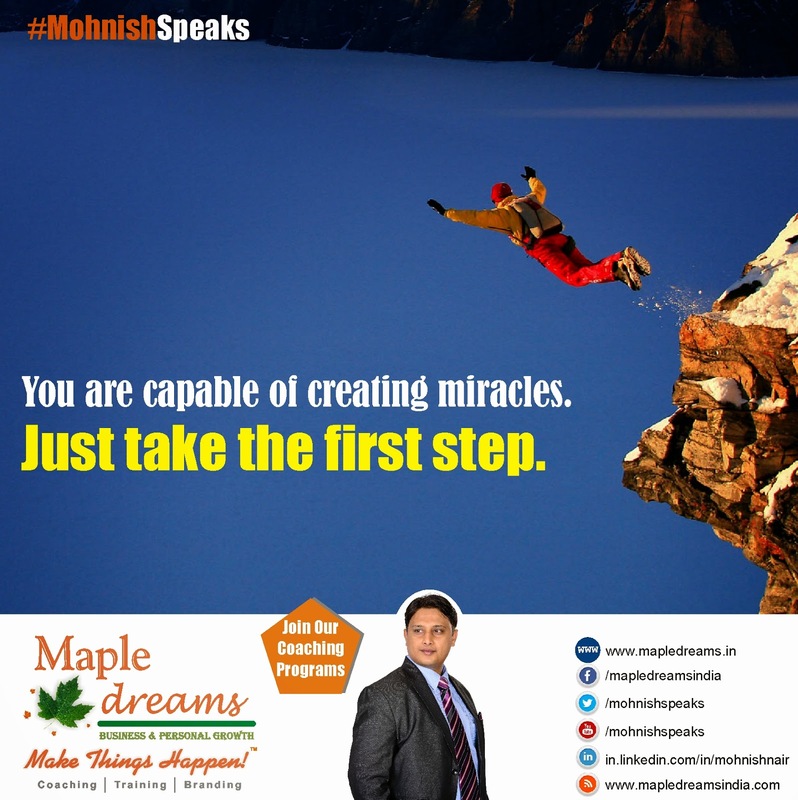 Take the first step towards your goals. You will be amazed how far you can go. You are capable of creating miracles. Just take the first step. Read & Listen to something stimulating everyday. Work on yourself. Fall in love with pain and pleasure will chase you forever. 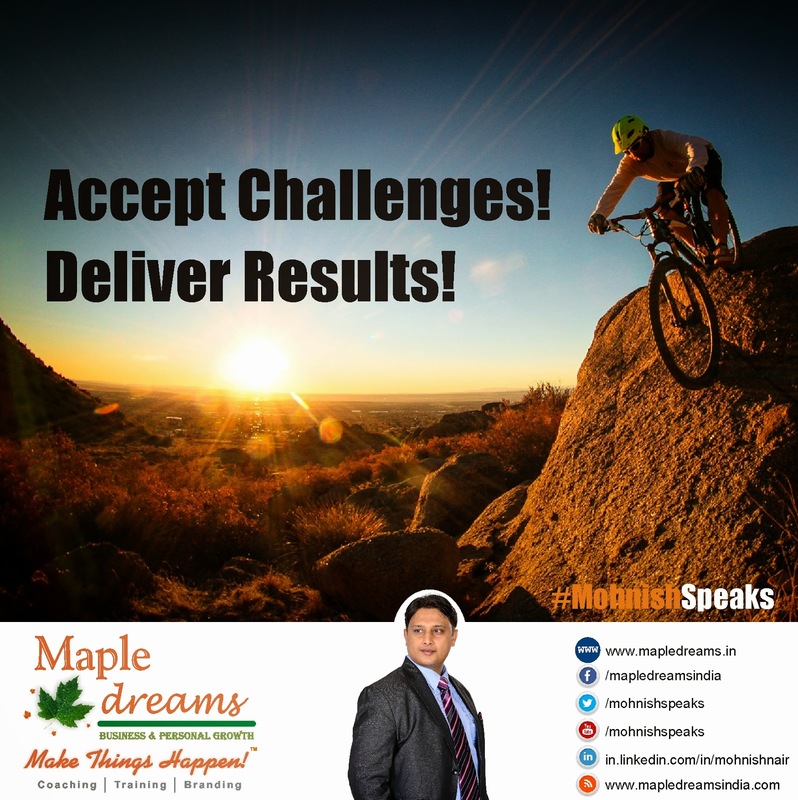 In this episode, Business growth coach and leading sales trainer, Mohnish Nair talks about the important sales habits that any business person or sales professional must follow on a daily basis to earn that elusive Million Dollars! 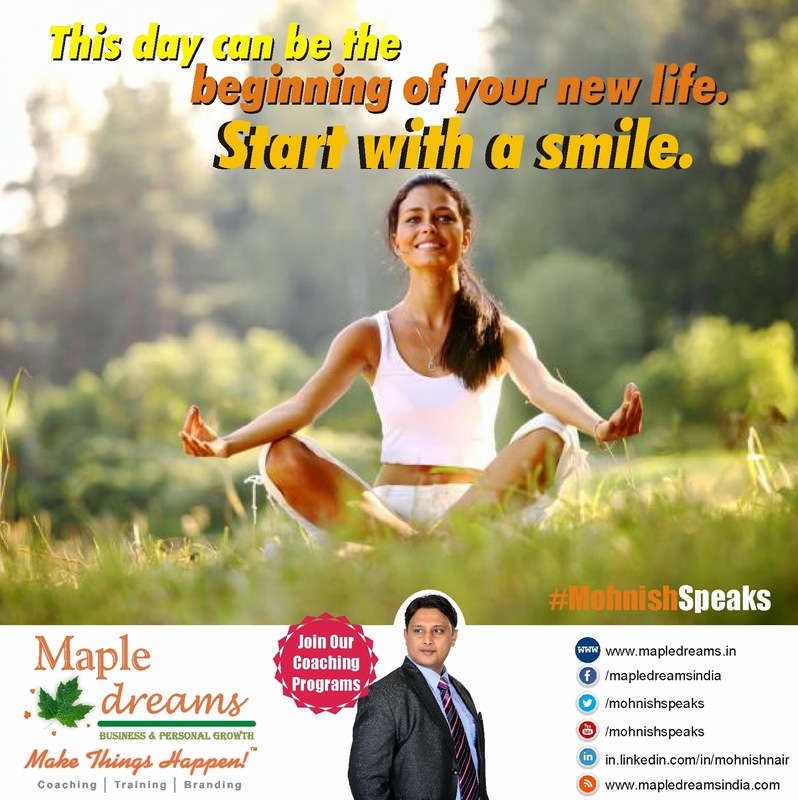 This day can be the beginning of your new life. Start with a smile. Those who are lucky don’t chase luck. They just take massive action. Your dreams await you. 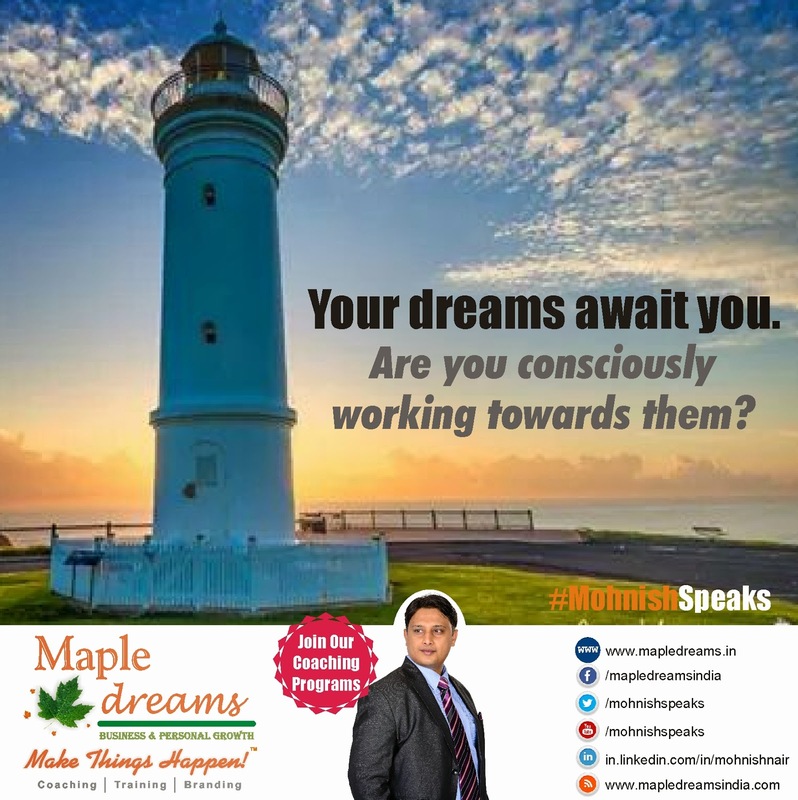 Are you consciously working towards them? Laziness gives you few hours of pleasure and a lifetime of pain. 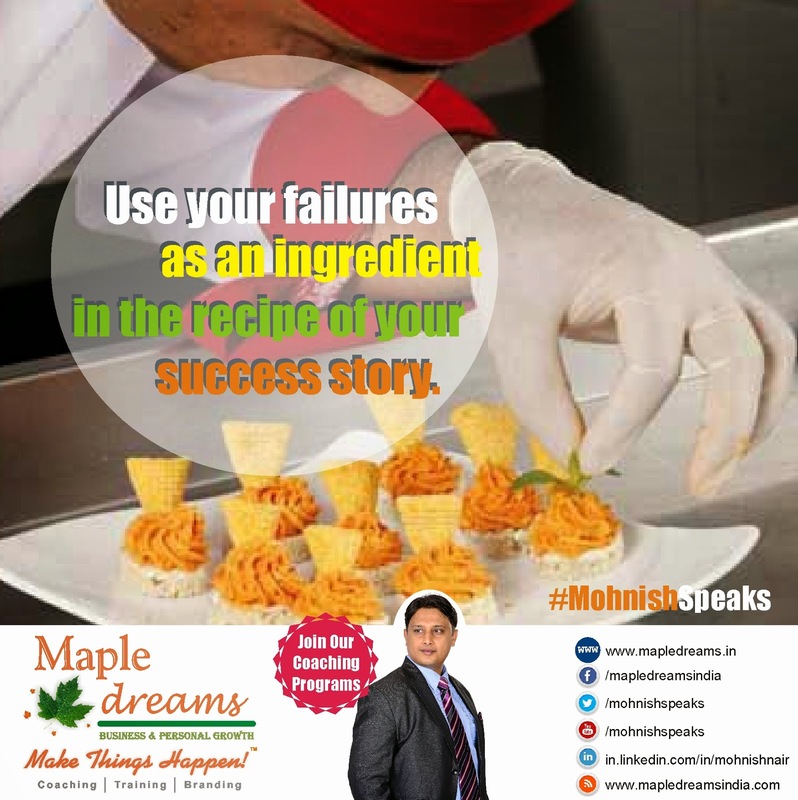 Use your failures as an ingredient in the recipe of your success story. Skip the easy. 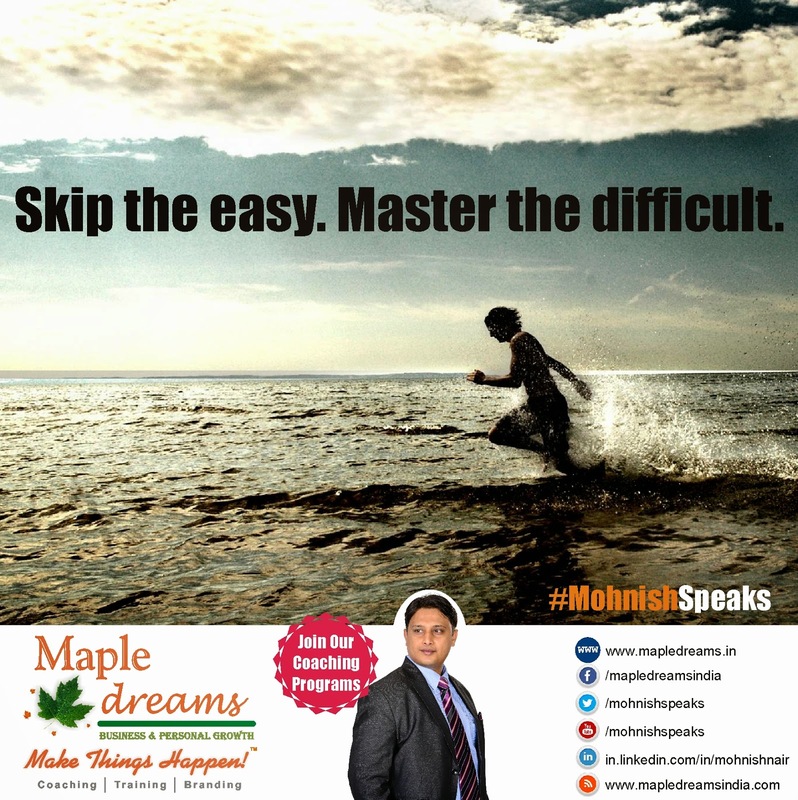 Master the difficult.